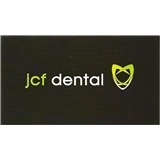 Juan Carlos Flores DMD / JCF Dental Services PA (Miami) - Book Appointment Online! NOTICE TO PATIENTS: Patients may also call to check same day availability not reflected on this page. Please note Dental CLEANING appointments for NEW patients are only confirmed after initial examination by doctor. RETURNING patients should call office directly to schedule cleanings as hygienist availability WILL differ from what is shown on ZOCDOC's calendar. Everyone in the office was extremely courteous and respectful (not to be taken for granted in Miami). The explanations offered were made very clear, and all implications explained thoroughly. A find!